For the last five years Dalchem significantly increased the production capacity and continues to increase them. 34 chemists and 21 technicians work in production now. At this moment Dalchem is renting in total about 2600 sq.m /28000 sq.ft. We constantly upgrade and fill up our equipment park. In production we use 100 lt, 65 lt, 20 lt stainless steel reactors, Huber Unistats, Huber Unichillers, autoclaves. The Rosenmund® Laboratory Filter / Dryer "RoLab 2" 0.2 sq.m. 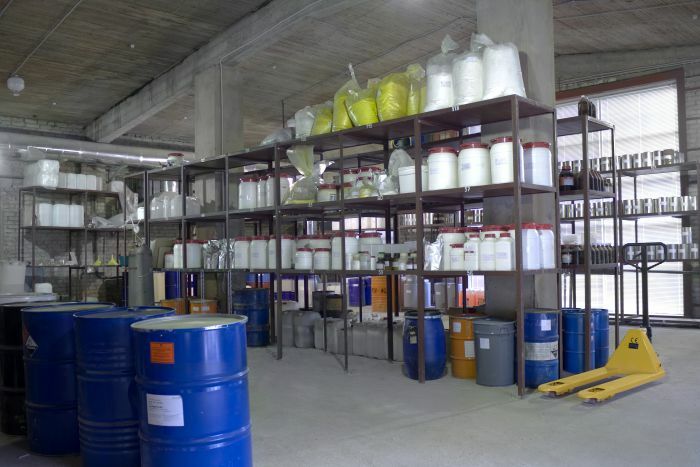 Dalchem company produces chemical compounds in quantities from several tens grams to several hundred kilograms (on some products up to 3000 kg per year). 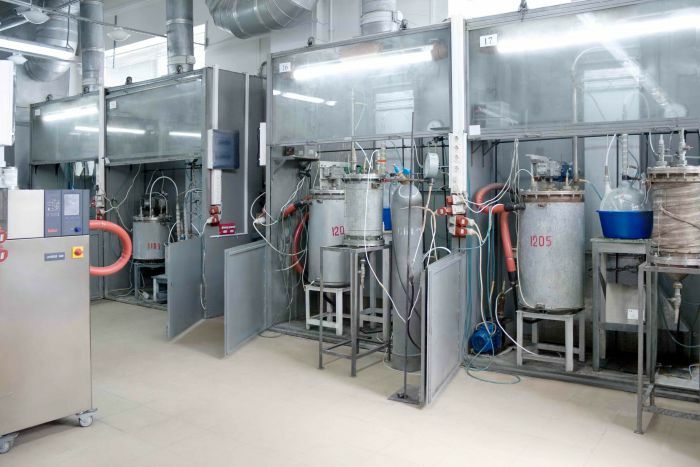 Modern equipment allows us to work with air- and moisture- sensitive materials and also with pyrophoric compounds and get the products with purity not less than 98%. 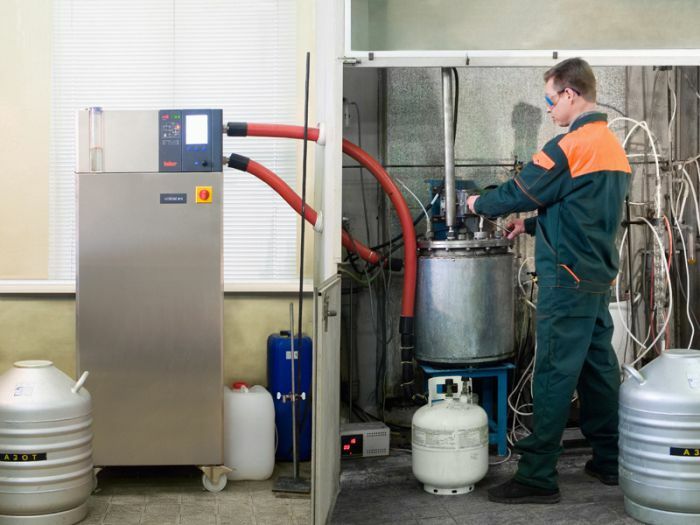 We carry out reactions in the temperature range from –100 °C up to +300 °C. Thanks to rather small volumes of reactors, but their large number, we rather flexibly can plan production. And one of advantages of our company is opportunity to work on many projects at the same time or to provide desirable productivity on a few projects by working in a parallel. The large warehouse areas (about 2500 sq.m./27000 sq.ft.) allow us to keep constantly the sufficient volume of raw materials in stock for production of the majority of our products and also reduce delivery time. Besides about 80% of our products (about 500 names) constantly are available in a warehouse and can be shipped in the shortest terms. All packing materials used in the company, conforms to IATA regulations for transportation of dangerous goods.